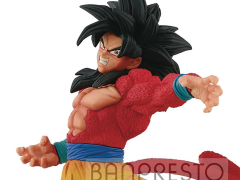 From the hit Dragon Ball franchise, the Son Goku Fes! Figure series celebrates the hero in a highly detailed, dynamically designed collection created by the master figure producers, Banpresto! In this release, fan favorite Super Saiyan 4 Goku from Dragon Ball GT makes his figure line debut! 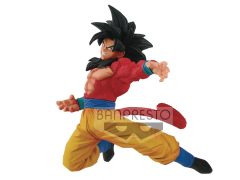 Posting at 8 1/4" tall, this action posed Goku comes with his own supporting stand and base. Minor assembly required.